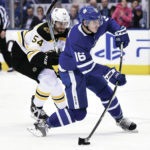 What Mitchell Marner did at the end of game three between the Maple Leafs and Bruins (blocked a shot with his foot, performed a splendid triple salchow/half-pirouette, and then deployed his face as a mobile shield) won’t soon be forgotten around these parts. He essentially vaulted himself into the same bar-stool (reddit) conversations about leadership and grit which invariably features names like the great Doug Gilmour and the immortal Wendel Clark. Remember, Toronto hasn’t won a hockey championship in 52 years and the team’s schizophrenic fanbase consisting of three types (1: old school puritanical loyalists struggling with receding hairlines and pot bellies, 2: proto-cynical fatalist bandwagoneers usually younger and lacking historical context, and 3: uber-elitist pratoerian analytical bloggers who ignore my direct messages on twitter because I’m not cool enough for school) were all united in applauding this rare and powerful display of indomitable chutzpah deserving of religious exaltation. Although the whole social media captaincy narrative has been beaten and trolled and clubbed to death, my eyes were graciously telling me what my aching heart already knew the moment Marner sacrificed himself when it mattered most: he’s the master and commander. Teoscar Hernandez has become the bane of my existence. Or at least that’s what I tell myself with every misanthropic display of his utterly horrid baseball fundamentals. Last night was an absolute doozy if you caught it in real-time; Brandon Drury thinks he’s taken ball four, begins a foxtrot down the first baseline, confuses the living daylights out of Hernandez, social conformity falls over him like an alien facehugger, and promptly ushers forth a sequence of events that leads to the latter being picked off with a bemused look on his face (perhaps it was something in his eye), while manager Charlie Montoyo has a cardiovascular meltdown on the bench realizing he might actually perish on the job. 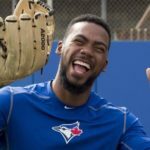 I’ve always admired Teoscar’s power while bemoaning his propensity for striking out once every three at-bats, and that’s precisely why he should be honing his skills with the Buffalo Bisons. Why? Because he’s not a major-league ready player. His mistakes are the product of an athlete not serious about succeeding in his sport. His errors are not ones to be expected at The Show, but the kind that you’d find from a minor league affair where being a disinterested manchild is much easier to tolerate and forgive. Even with his ode to George Bell, way-off-the-plate home run to win the game, I find it harder and harder to consider this player with any degree of credibility. 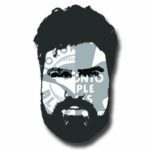 And if the Blue Jays aren’t careful, they’ll continue to remind us all why most fans are tired living off nostalgia and are slowly dying from the dreaded kiss of corporate modernity inspired by soul-sucking frugality. The latest teaser-trailer for Star Wars inexplicably gained my attention when I realized how bloody exceptional it was earlier in the day. Somehow, J.J. Abrams managed to cobble together the kind of short-burst spectacle that far outweighs the total entertainment value of The Last Jedi. 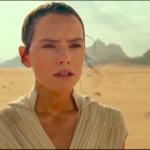 Given the themes, characterizations, and ominous cackle of a certain Sith Lord from the past introduced with The Rise Of Skywalker, it isn’t hard to imagine the trilogy’s finale going a long way to cure all which ails the suffering fan. And in the case of the second film, a brazen reminder of how a fully committed Abrams would have capitalized nicely on his opening act instead of having Rian Johnson disjoint (debaucherize?) his established narrative into oblivion. Whereas The Force Awakens shamelessly stoked our sentimentalist loins, it did so in a genuinely respectful and cathartic manner. We need cinematic escapism more than ever in this world and this is one form of therapy (diversion) that should go a long way in the right directorial hands, even if all the gravitas over four decades was lost in retooling a beloved trilogy that finds itself relying more on special effects than a half-decent screenplay. 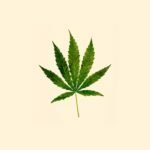 Be sure to subscribe and receive your NIGHTLY edition of my Personal Blog: Whiskey & Cream, along with podcasts, articles, and OP-EDS from all our site contributors.